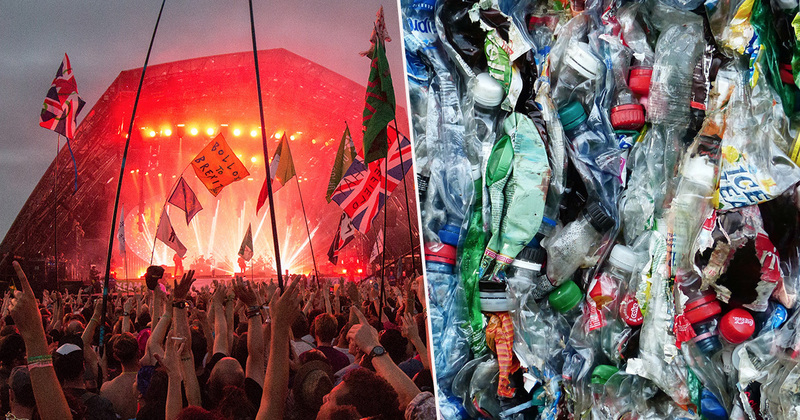 Liquid purveyors at Glastonbury festival have been banned from selling single-use plastics. An announcement on the festival’s website added no plastic bottles would be supplied backstage or in dressing room areas, nor to catering or production staff… Not even the talent! And if that’s good enough for crew members for the likes of Kylie Minogue and Janelle Monae – who will be performing at the festival this summer – it’s good enough for revellers, too. So, festival-goers have also been urged to carry ‘as little single-use plastic as possible’, for the greater good. But, fear not booze-drinkers. You won’t dehydrate on their watch. Instead, ticket-holders are encouraged to bring reusable bottles with them, which can be filled from the ‘hundreds of free water taps’ they promise will be available. We have a mains water supply from Bristol Water, with water of the same quality as your taps at home. We are also tripling the number of WaterAid kiosks where you will be able to refill your bottle. Free drinking water will be available from all bars across the site. Meanwhile, canned soft drinks and canned Life Water will be available to purchase from all traders who previously sold soft drinks in plastic bottles. Organiser Emily Eavis reiterated well-known scientific wisdom, saying it’s ‘paramount for our planet’ to reduce plastic consumption. Yup. Yet, more than one million plastic bottles were sold at 2017’s event. In case you missed the screams of a thousand middle class South Londoners, last year was a fallow year on the Glastonbury site and the festival had a year off. But after a few years to think on it, the guys at Camp Glasto have had a collective conscious awakening regarding the impact of huge live events, and – other agricultural and environmental destruction aside – have banned single-use plastic bottles. It’s a great step towards a future where it’s not sweltering hot in February because the Earth is on fire. I’m thrilled that, together, we’ll be able to prevent over a million single-use plastic bottles from being used at this year’s festival. I really hope that everyone – from ticket-holder to headliners – will leave Worthy Farm this year knowing that even small, everyday changes can make a real difference. It’s now or never. The statement does add those coming to Glastonbury 2019 will not be prevented from bringing plastic bottles on to the site.